Simmons and Paul Stanley have continued on as Kiss after the early-’00s departures of Frehley and Criss, releasing the ‘Monster’ album last year with replacements Tommy Thayer and Eric Singer. 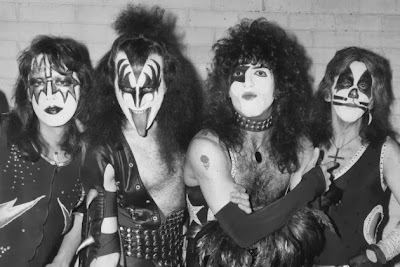 Still, Frehley said, there’s no getting away from the successes Kiss had with the original lineup. The band was so big at one point that all four members released solo albums simultaneously, with Frehley scoring the quartet’s lone Top 20 hit, ‘New York Groove.’ Even his success in battling addiction, Frehley claimed, has made his story more interesting than Simmons’.